Short Bytes: SyntaxDB calls itself a programming syntax database that wishes to eliminate the need to use Google to search syntax during coding. It allows you to search your syntax queries and shows you helpful results along with further documentation. Currently, SyntaxDB supports nine popular programming languages. Very often programmers new to the field ask if is it okay to use Google and Stack Overflow to look up some syntax. The answer is yes — searching the web is a routine task of a good developer and its frequency even increases with time. Using Google doesn’t make you a bad programmer. Instead, it makes you even better at it and teaches you new things. 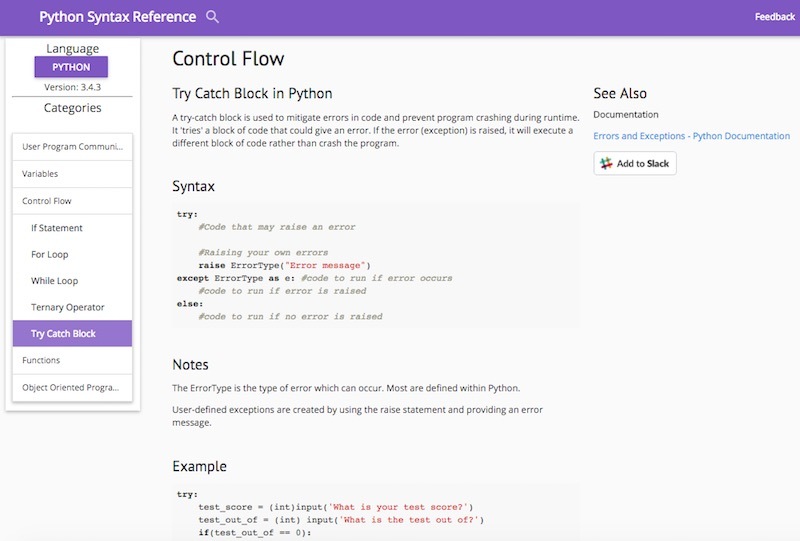 To make things even easier for programmers, Anthony Nguyen, a software developer studying at Queen’s University, has created SyntaxDB. This website calls itself the programming syntax database and allows you to search your required query. Nguyen calls it helpful for those who often visit Google to look for their programming related queries. The website’s home page is very simple and plain. You just need to enter a language or a concept, and it starts showing relevant suggestions. As soon as you hit enter, a search result page is shown to address your query. Once you click on a concept, you are shown a small definition and syntax along with some related notes and examples. In the right sidebar, there are links to the official documentations for more help. 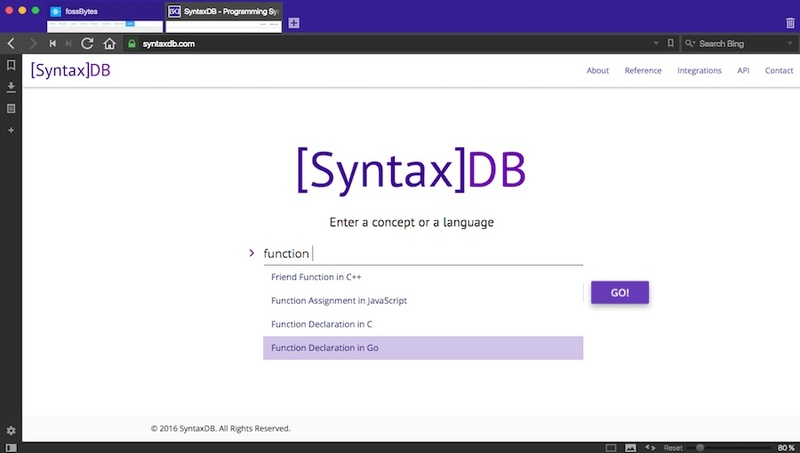 SyntaxDB also offers integrations with DuckDuckGo, Slack, and Visual Studio Code to make coding easier. There’s also an API available that lets you write your own integration. In future, the website plans to provide more plugins for code editors and increase the size of the database and the number of programming languages.